Suede leather has a unique feel and look among leather types. It’s the soft and fuzzy underside of hide. The suede material is made by turning leather upside down so this fuzzy side is face up. Despite what Elvis may have made us think, suede doesn’t come in blue – at least not naturally. But it is a fine product appreciated for its quality, appearance and feel. Suede is really a type of split leather – in fact, it the innermost layer of the hide. Most commonly, it comes from sheep, but also from deer, goats and calves. Thicker hides have the same feel but become shaggier, rather than the preferred napped feel. The thin innermost layer is cut off to create a thin, soft material. 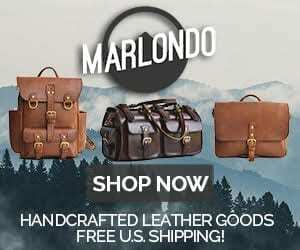 Technically, this layer doesn’t have to be cut off; however, that would leave a thick, less pliable leather which usually isn’t preferred for suede products. 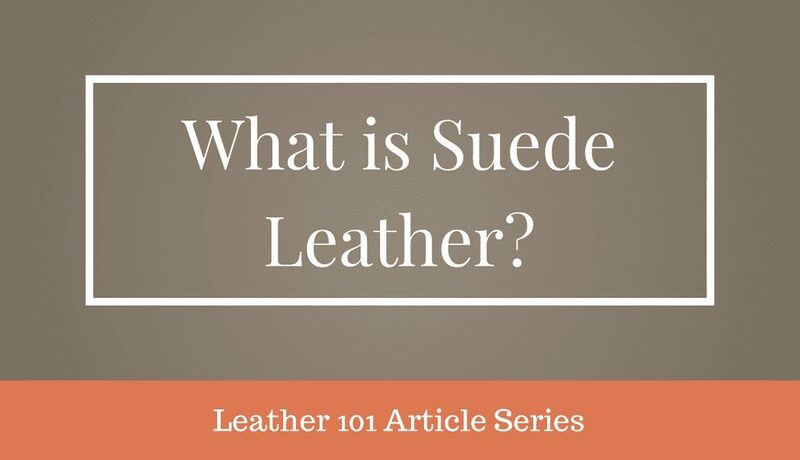 Suede is a high-quality product generally, but not for the same reasons as other types of leather. Since it is thinner and softer, suede is more vulnerable to damage. But it’s that softness and pliability that are so valued. The animal the hide comes from and its age have an influence on the quality of suede. As we mentioned, sheep are the most common source of suede. At the other end of the spectrum, mature cows produce a less-desired suede. The tanning process and whether the leather is split also affect the quality and uses of the suede. If the leather is left intact as a full grain leather, it can be a tougher, more durable material with the familiar suede surface on one side. However, it’s not pliable. It’s considered a much higher quality when it’s split and supple. What Does Suede Look Like? Suede has both a luxurious feel and decorative appearance. The suede “side” of the leather looks like densely-packed short hairs. When the suede is properly brushed, it has a consistent color and grain. If it’s ruffled, it may sometimes appear less dense as well as darker. Suede can also be dyed – which brings us back to Elvis. While its natural color is the “tanned” color of most leathers, you can often see quality suede in a broad array of hues. Since suede is soft and thin, it’s great for clothing and other areas where a thicker leather would be too rigid. Suede is common in bags, shoes, upholstery, curtains, gloves and other accessories. It makes a great inner lining for other leather products as well – putting it back where it started. Speaking of gloves, we should mention how the name arose. The material was used to make women’s gloves that came from Sweden – “gants de Suede.” When they became popular in high society, the name stuck. Faux suede also exists, and it’s good to be aware that they are different than suede leather. This imitation textile is brushed to give it a nap similar to suede leather, but it can’t compete on the quality scale. Suede has a number of advantages over other types of letter and compared to other materials as well. Its look and feel make it a highly-desired material. The nap gives it a unique place among materials. Since it is a product of hide, it is rather durable. One of suede’s biggest advantages is also one of its biggest weaknesses. Since it is thin, it’s not as durable as other types of leather. It’s not a total weakling, of course; it just isn’t as tough. Also, the nap can end up trapping dirt, oil and moisture, which make suede more prone to staining and damage. Proper care can help prevent this but it’s worth being aware of. Suede can also vary in quality but it’s generally easy to tell just by the feel of the item. You probably already know not to use water on suede. But there’s a few tips and tricks you should know for the proper care of your suede leather. Using a sealant will help protect your material. You can use a suede brush or even a dry, clean toothbrush to help keep the nap fresh. Talcum powder works great for wet stains. But if you have a stain that’s already dried, try a little bit of white vinegar. And like all leather types, you can always rely on professional cleaning as well. Nubuck leather is another soft, velvety-feeling leather product. However, nubuck comes from the outside part of the skin – really the “normal” place we get leather. It’s a product of top grain leather. That leather is then sanded to give it the soft, smooth finish. Nubuck is usually more expensive than suede as well. Real suede leather is an established product with a great reputation. Its softness and pliability make a great for a wide array of products. It does take a little care but it’s going to give you a quality, comfortable feel and look that you’ll appreciate for a long time.